"The Moon Pool" was first published in the 22nd June 1918 All-Story Weekly, and has featured in multiple anthologies ever since. Now, with the wonders of the internet, we can actually read it online thanks to SFF Audio. I've written on A. Merritt at length before, but not specifically on "The Moon Pool," which was particularly influential. 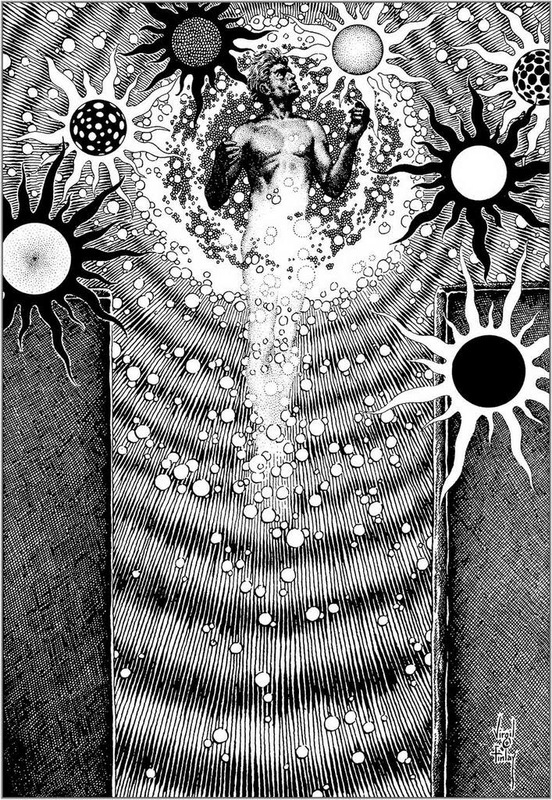 I found Mordicai Knode and Tim Callahan's review on Tor quite a good overview, and highly recommend Cary Panshin's essay "A. Merritt and the Soul of the Twentieth Century" as detailed explorations of this fantastic tale. As with Howard and other historically-minded authors, one of my favourite aspects of Merritt's writing is his use of historical mysteries to supplement his fiction. In "The Moon Pool," the setting is the Micronesian Archipelago, in the vast pacific between Indonesia and Australia. The story begins in New Guinea, in Merritt's time recently moved from German to Australian Rule, now part of the independent nation of Papua New Guinea - the nation's capital, Port Moresby, is also named in the novel. Yet while much has changed in the past century since The Moon Pool's publication, some things persisted for millennia. I knew that he had planned to spend at least a year among these ruins, not only of Ponape but of Lele—twin centres of a colossal riddle of humanity, a weird flower of civilization that blossomed ages before the seeds of Egypt were sown; of whose arts we know little enough and of whose science nothing. For more detailed observations on these points refer to G. Volkens, Uber die Karolinen Insel Yap, in Verhandlungen Gesellschaft Erdkunde Berlin, xxvii (1901); J. S. Kubary, Ethnographische Beitrage zur Kentniss des Karolinen Archipel (Leiden, 1889-1892); De Abrade Historia del Conflicto de las Carolinas, etc. (Madrid, 1886).—W. 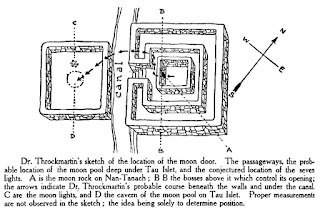 T. G.
Nan Madol was only fairly recently known to the western world at the time Merritt wrote this story: indeed, James Churchwood's first publication on Mu, which makes heavy mention of Nan Madol, would not be published until four years after The Moon Pool. 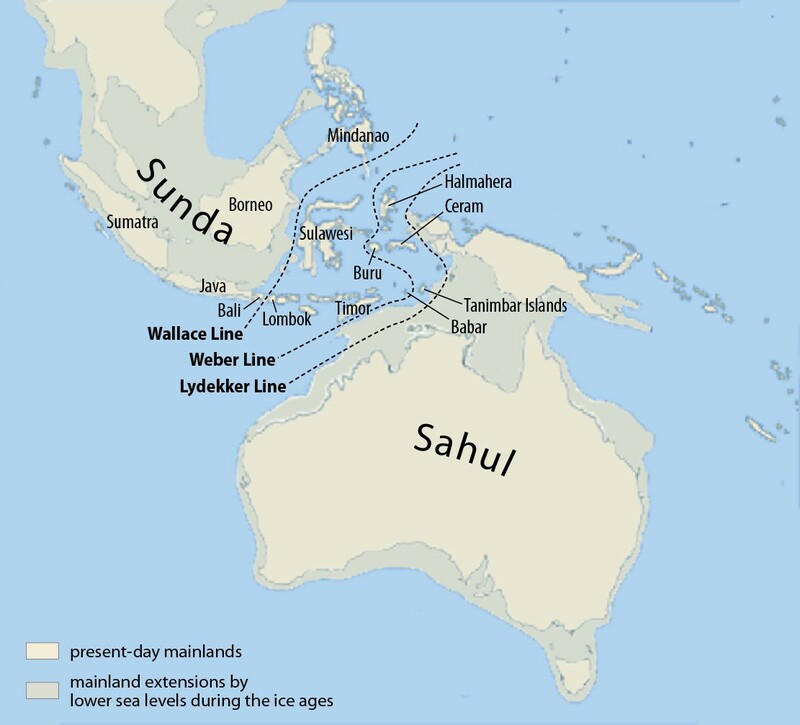 Nonetheless, the legends of Lemuria and Kumari Kandam stretch back further, meaning Nan Madol could easily fit into the theosophical hue the book takes - and, by happy coincidence, a "Hyborian"-style association with the scientifically proposed Sundaland and Sahul, real Lost Worlds of the Pleistocene Period. 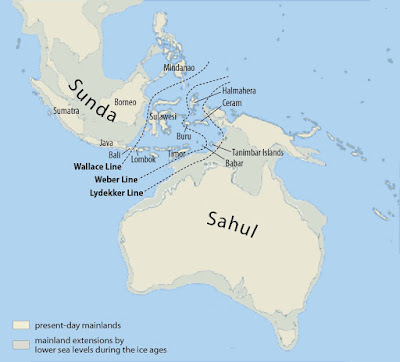 Sundaland and Sahul, like Doggerland, Viking-Berger Island, Beringia, are historic landmasses which have since sunk beneath the waves. Modern archaeology has discovered a great deal more about Nan Madol and the ancient ruins of Indonesia than was available to Merritt. 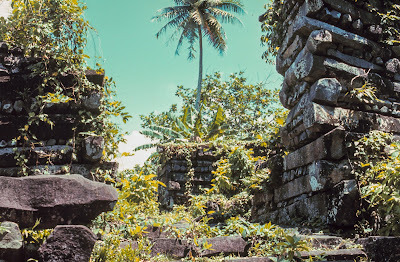 Nan Madol itself is believed to be the seat of the Saudeleur Dynasty a civilisation hundreds rather than thousands of years old, which lasted from the early 12th Century until its conquest by the semi-mythical Pohnpei warrior Isokelekel in 1648. Carbon dating was used to date the earliest monolithic constructions, which place their establishment around the 1100 mark, rather than the vast antiquities earlier archaeologists (and Sword-and-Sorcery authors) thought. 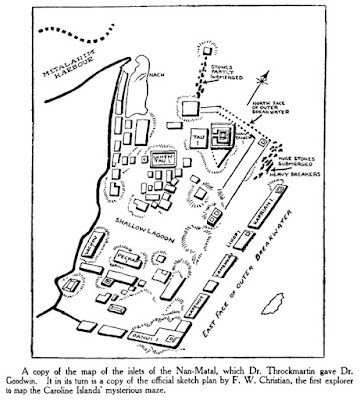 Merritt's travelogue-style description of the islands prior to the adventure at Nan Modal is very journalistic, dry, almost pedestrian - very deliberately so, as it provides a sharp contrast to the much more verbose & imaginative vocabulary to describe the fantastical events later in the book. 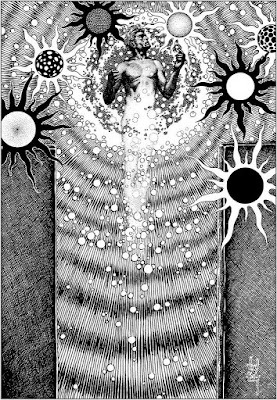 Much has been said of Merritt's descriptions, particularly his descriptions of light, in The Moon Pool, with more than a few writing it off as purple prose. Listen, pal: I may like my aubergine wordplay, but purple prose is what you get when you use big words when little words would do - such a utilitarian schema can be very useful for action and drama, but sometimes, small words just won't do. Merritt, like Clark Ashton Smith, selected every word very deliberately, because they were simply the best word to use for the task at hand. It is not using big words for the sake of it. A hundred paces away was a dais, its rim raised a yard above the floor. From the edge of this rim streamed upward a steady, coruscating mist of the opalescence, veined even as was that of the Dweller's shining core and shot with milky shadows like curdled moonlight; up it stretched like a wall. A quarter furlong away was a mandapam, its periphery elevated a cubit atop the floor. From the marge of this periphery cascaded acclivitously a uniform, coruscating brume of the opalescence, stratified yet as was that of the Dweller's effulgent nucleus and variegated with opaque tenibrosity like coagulated lux lunae; up it extended like a palisade. So. Don't talk to me about purple prose. She was a Swede, as you know, and in her blood ran the beliefs and superstitions of the Northland—some of them so strangely akin to those of this far southern land; beliefs of spirits of mountain and forest and water werewolves and beings malign. From the first she showed a curious sensitivity to what, I suppose, may be called the 'influences' of the place. She said it 'smelled' of ghosts and warlocks. Mythologies from across the world are invoked, from the "Fisher of Souls" of Louisiades lore, to the Dyak people's "Akla Bird" who functioned as the moonray-winged messenger of Buddha - possibly a reference to the Garuda - and we later see a whole lot more of Norse, and Irish, and Egyptian, and all sorts of mythologies. ... But the Throckmartin I had seen below was one who had borne some scaring shock of mingled rapture and horror; some soul cataclysm that in its climax had remoulded, deep from within, his face, setting on it seal of wedded ecstasy and despair; as though indeed these two had come to him hand in hand, taken possession of him and departing left behind, ineradicably, their linked shadows! Like his contemporary William Hope Hodgson, Merritt's work is suffused with the barely conceivable, overwhelming death that wracked the fields of Europe, the sands of the Middle East, and the coasts of Africa over four horrific years - and even the climes of the Pacific could not escape the shadow of that conflict. It seems somewhat fitting that "The Moon Pool" and the end of that ghastly war share a centennial. 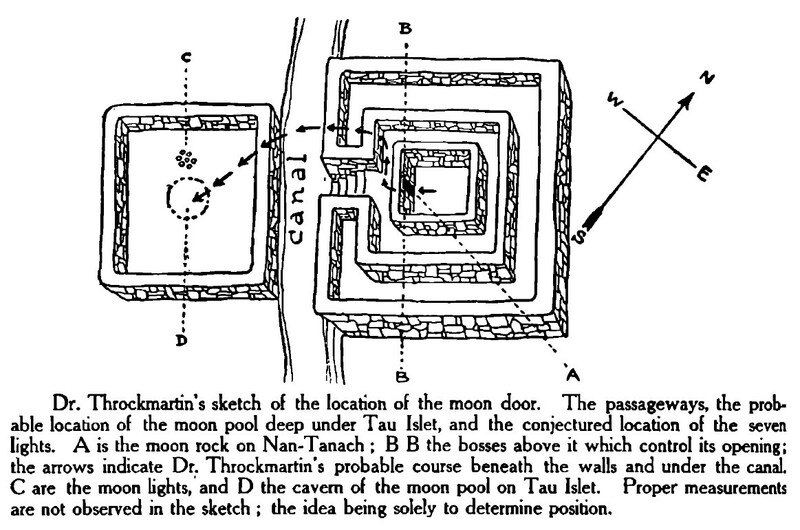 "The Moon Pool" is one of three of Merritt's books listed in Gary Gygax's famous "Appendix N" in The Dungeonmaster's Guide, alongside Creep, Shadow, Creep! and Dwellers in the Mirage - and Merritt is the only author on the list to have three titles listed. I'd love to say it's my favourite Merritt story, but I keep finding reasons to say that about all of them. Perhaps, then, "The Moon Pool" stands out for being the place where it all began - the first of Merritt's real successes, a massive influence on the works of H.P. 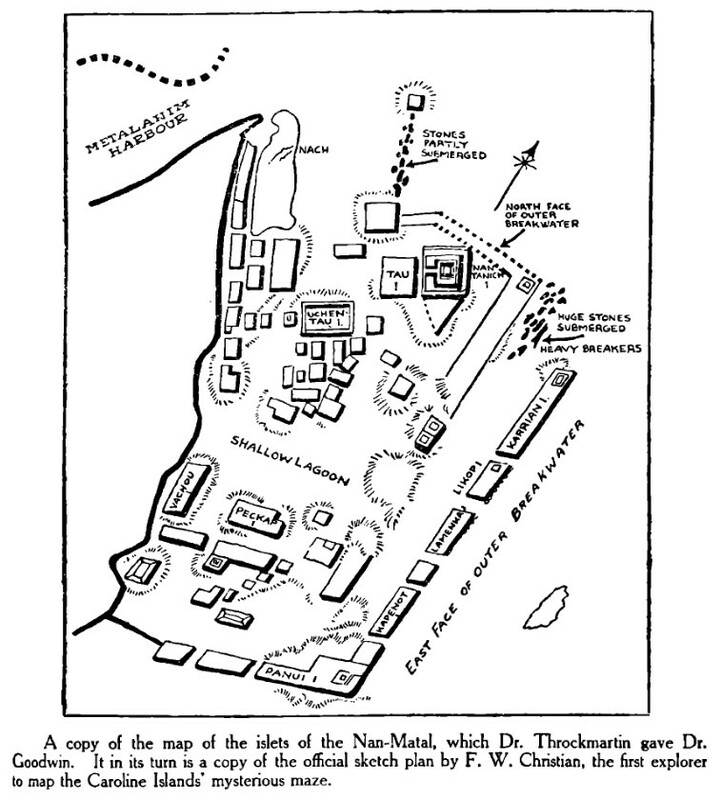 Lovecraft, Robert E. Howard, Robert Bloch, Michael Moorcock and other giants, and the beginnings of a new type of adventure novel just as the world recovers from one of the most terrible horrors in its history. Such is the legacy of A. Merritt and the soul of the Twentieth Century.